Lockport Park District and Prairie Bluff Golf Course welcomes Glitter Your Pallet for the “All Things Summer” painting event. 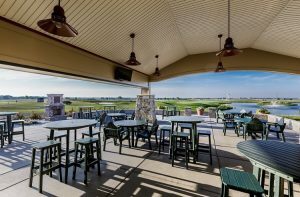 Join us on Tuesday evening June 18th @ 7:00pm as the sun sets over the gorgeous sights of the golf course. A full bar menu will be available. for purchase. Be sure to ask about the refreshing cocktail specials. 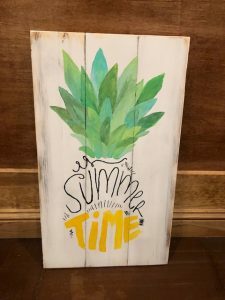 $45.00 per project includes pre-painted decor pallet board. Size is size 24″ x 14″, all supplies, step by step guidance and subtle glitter accents are included. 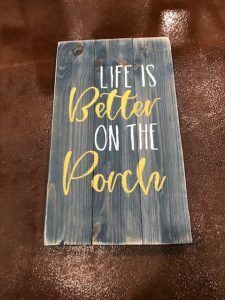 Choose from over 40 (FORTY) designs including summer, 4th of July, cottage, lake, inspirational, pets, home – options galore! $50.00 per project. Our one of a kind barnwood project includes a large 2 1/2 foot x 2 1/2 foot frame, pre-drilled eye-let hook, and pail. (flowers not included). 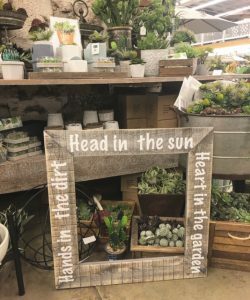 Choose from our variety of garden and inspirational stencils the night of the event OR request one of your own. Please keep it to 16 words or less. $53.00 per project. 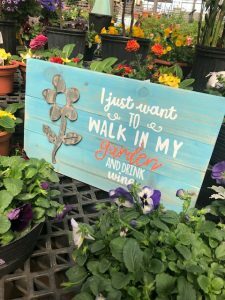 Our one of a kind flower project includes a variety of colored 24″ x 14″ pre-painted pallet boards, 12″ tall corrugated re-purposed metal flower (from a 100 year old barn in Nebraska) and subtle accents of glitter. Choose from OVER 12 garden and inspirational stencils the night of the event. 10 available	 Decor Pallet Board $20.00 $45.00 project. $20.00 deposit due now via Credit Card or Pay Pal. $25.00 cash balance due the night of the event. Sorry no credit cards or checks. 10 available	 Floating Barn Frame $25.00 $50.00 project. $25.00 deposit due now via Credit Card or Pay Pal. $25.00 cash balance due the night of the event. Sorry no credit cards or checks accepted the night of the event. 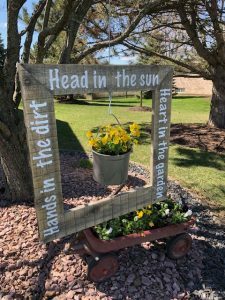 10 available	 Corrugated Metal Flower Garden Sign $28.00 $53.00 project. $28.00 deposit due now via Credit Card or Pay Pal. $25.00 cash due the night of the event. Sorry no credit cards or checks the night of the event.